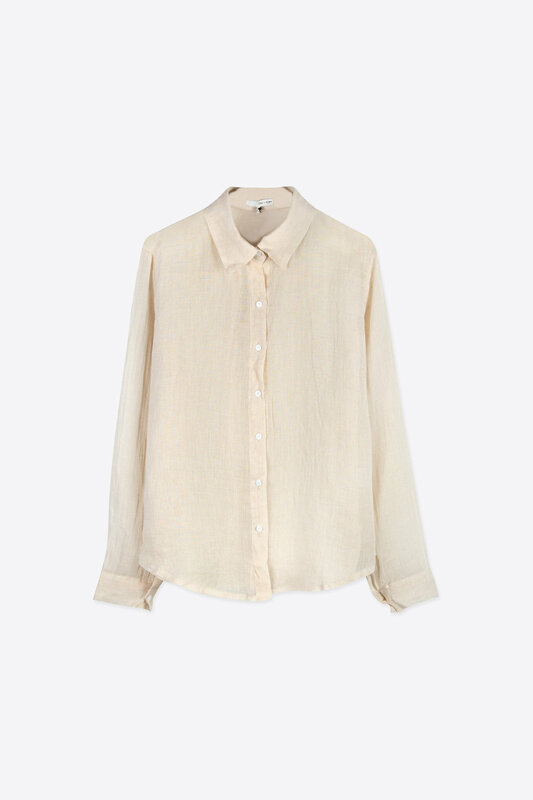 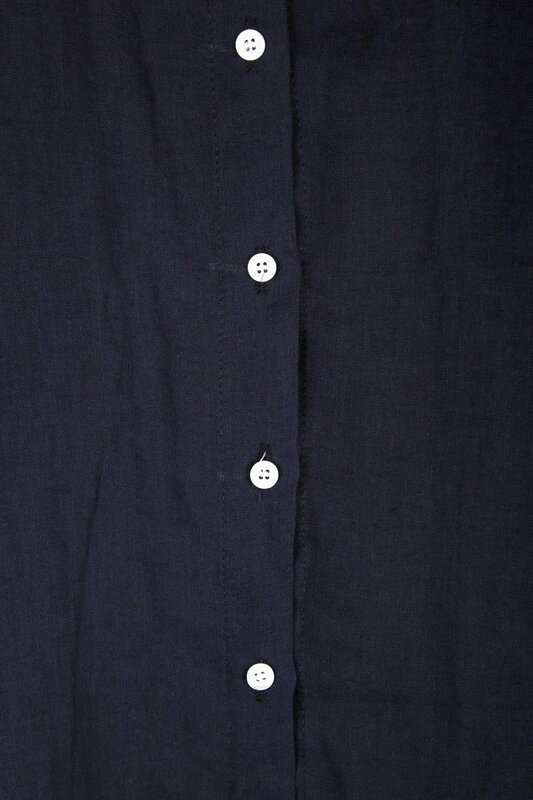 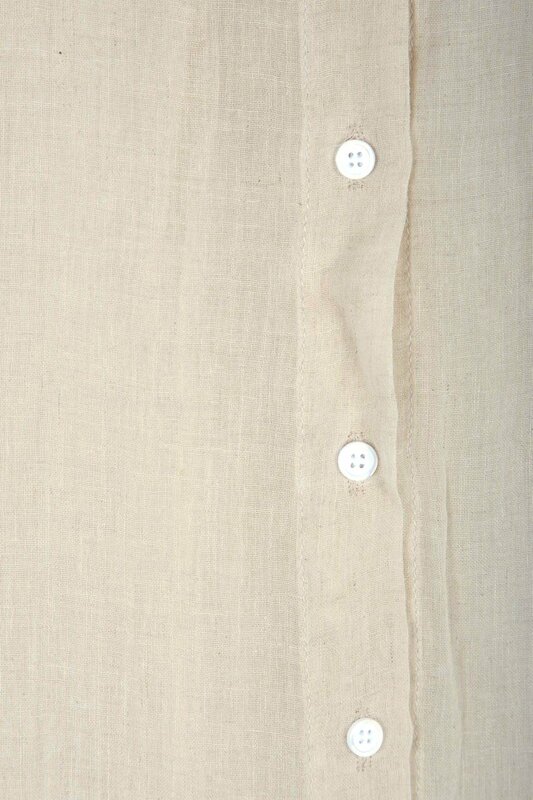 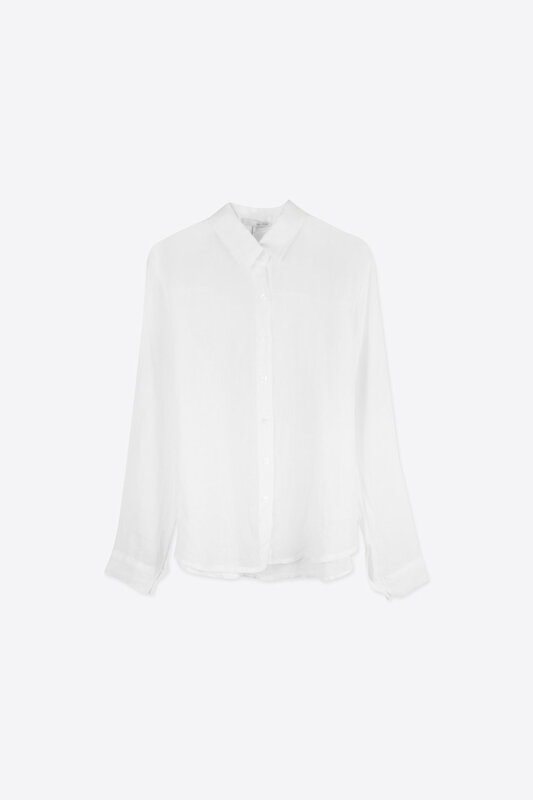 Crafted from an ultra-lightweight cotton-linen blend, this shirt features a classic button-up design for a minimal and refined look - making this piece ideal for layering. 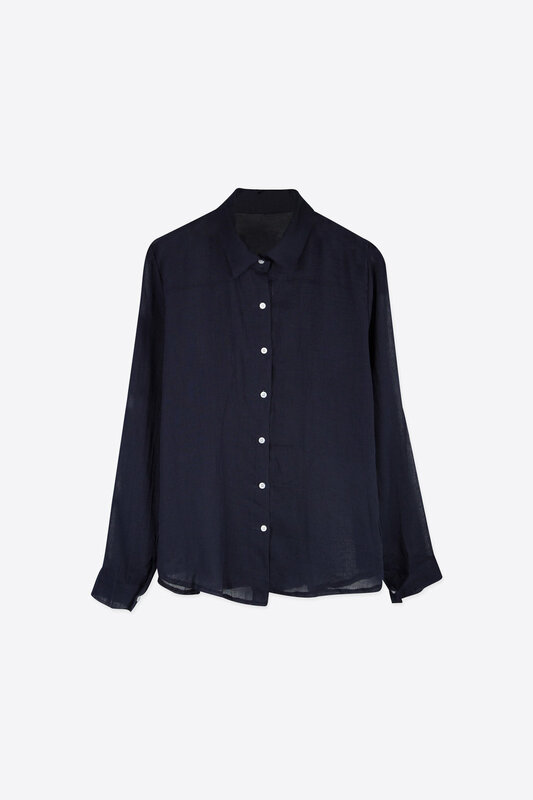 The sheer textured fabric gives this blouse a demure and elegant touch. 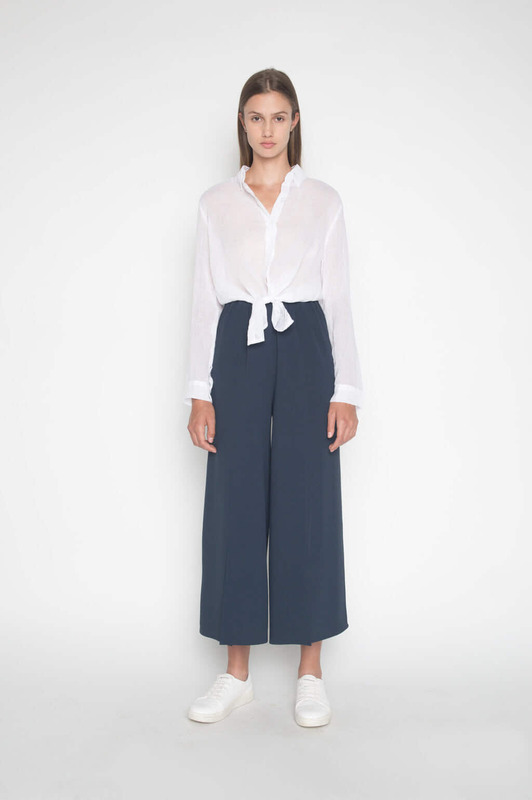 Style underneath a slip dress with flat mules for an effortlessly feminine look. 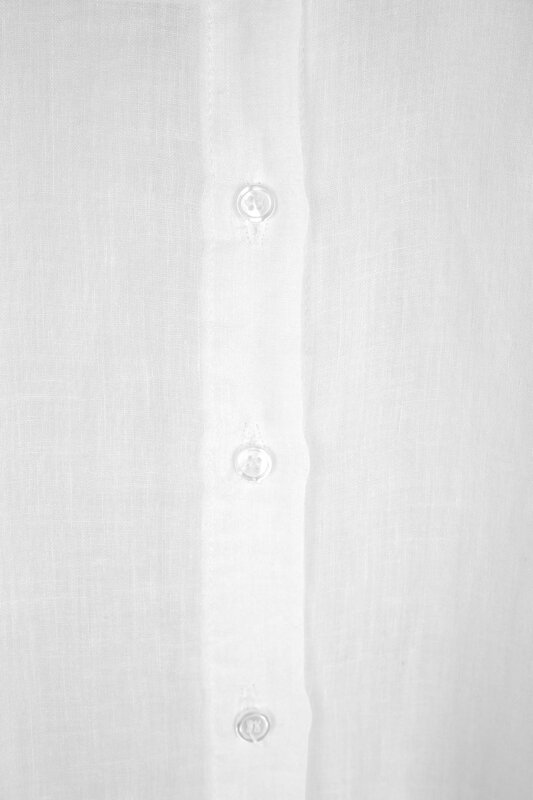 Fabric Content: 45% Cotton, 55% Linen Care Instructions: Machine wash cold, lay flat to dry, low iron, or dry clean.